The STEM Invention Lab Trailer is a mobile tool to give our Scouts an opportunity to try various technology in being creative and innovative. And maybe earn some advancements along the way. From 3D Printers and Pens, Snap Circuits, Robots, Electronics, Lasers, and more, the trailer is packed with some cool stuff to try out. 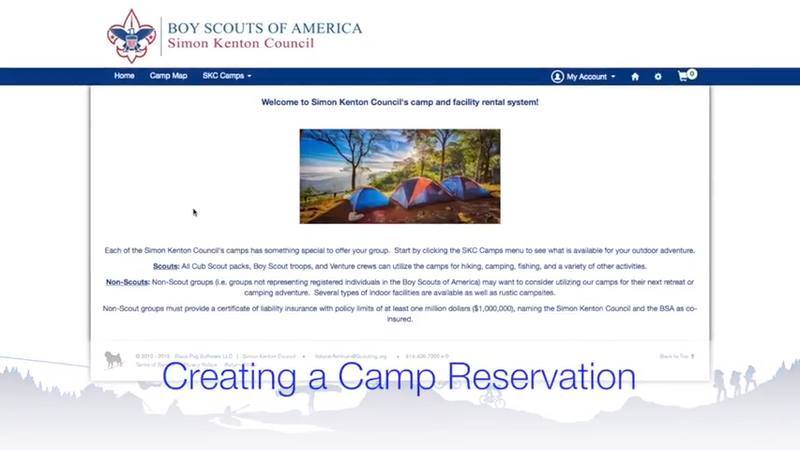 Because of its home location at Beaumont Scout Reservation, units can reserve it to use there at camp or out at your unit location. Units within a 50 mile range of Beaumont can make a reservation for Monday through Thursday night plus for Saturday. Those units outside of 50 miles are encouraged to enroll for the Saturday slots and provide the Trailer manager more driving time to get to you. Also, because of the potential demand, we request that units only sign up for one session per calendar year. The Trailer will be winterized from December 15 to February 28. There is the possibility to use the trailer equipment during those months in the Cub World Building. We ask that there are ample amount of leaders and parents at the trailer event to help with set up, monitoring of program, and packing up. In most cases, the Trailer manager will be coming by themselves as staff. For programs that units would like to try advancement during their session, the Trailer manager is not a counselor for badges nor able to sign off on cards. Pack leaders and Merit badge counselors are encouraged to lead advancements with the Trailer resources. When making a reservation, please click 'reserve' from the following items in the package menu. They include for Cub Scouts: 3D Pens, Ozobots, Snap Circuit kits, Laser engraver/cutter, Microscopes, Alka Seltzer pop rockets, and Tracker Robots. For Boy Scouts and Venturers: 3D Pens, Snap Circuit kits, Laser engraver/cutter, Vex Robots, Soldering kits, Microscopes, Welding equipment, and CNC Router. Additional items on hand for program in the trailer include: 3D Printers, Telescope, contraption kits, CAD programming on laptops, and drones. Please indicate in the PLANNED ACTIVITY box when registering what location you would like to have your program - Unit location or Beaumont. Program note: Please realize that 3D printing can take a long time, CAD software is available to show how objects are made in 3D. We have materials to do some simple soldering but encourage Scouts to bring their own kits to work with. https://www.robotshop.com/en/soldering-kits.html It will also help if unit adults know how to solder. Welding is the same where we can have the equipment there but need experienced Welders to operate the equipment and have materials. Drones will only be allowed to fly out at Beaumont during daylight hours if units schedule their program at camp. The trailer does come with a portable wifi router and is only accessible to the trailer devices. Having wifi can add to the trailer experience, especially for the CNC router, and for the laptops on board with the software installed. However, if the trailer is parked in a weak signal zone, there is no guarantee on some of that program operating. Please ignore the camp use policy listed below. BUT DO REVIEW CHECK IN AND CHECK OUT PROCEDURES THAT FOLLOW PLUS THE CANCELLATION POLICY. We have 3 3D printers for use. Do realize that printing can take a while and most likely only finish a few projects during your rental. They are fun to see operate. We have 3D CAD programming on 5 laptops to let the Scouts make designs. We have 5 contraption kits that let the Scouts build marble run pathways and learn engineering. There are 5 microscopes to use with supplied nature and animal slides. We also have blank slides if the Scouts find something to look at. We have 10 ozobots to use for program. They are rechargeable and have use per 1 hour charge time. Good for smaller groups. We have 3 Soldering kits for projects brought by the Scouts. We should also have solder on hand. We have one telescope that would be available for afterdark use. We have three welding kits available. An experienced welder needs to be presented and supply materials. Welding tables are recommended to bring. 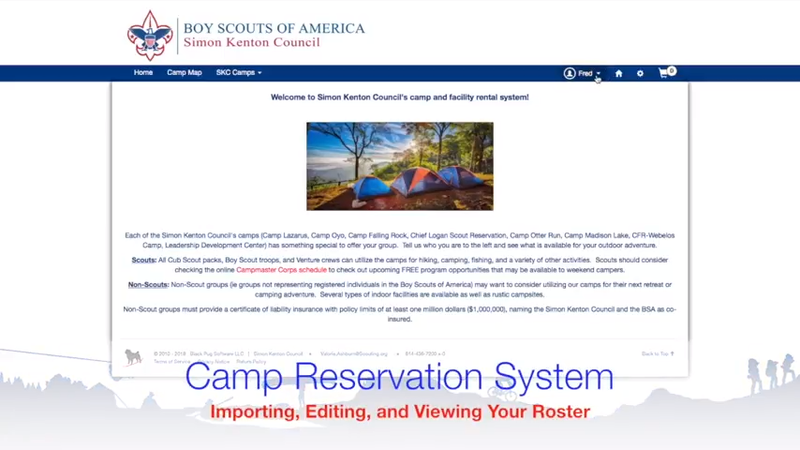 Those desiring to use the camping properties of the Greater St. Louis Area Council must secure a permit in advance from the Camping Service at the Scout Service Center. No unit will be permitted to remain on the property without a permit. All packs, troops, crews, and posts must check in with the camp ranger upon arrival in camp. Those persons using camping facilities can help to preserve the properties and Scouting's favorable image by observing the points listed. LEADERSHIP FOR HIKING AND CAMPING - All Cub, Scout, Venturer, and Explorer groups using our facilities must be supervised by at least one registered Scouter, 21 years of age or older, and one leader 18 or older who are in attendance full time. Co-ed crews or posts must have a male and a female leader both 21 years old or older and approved by the sponsoring institution and the parents of the Explorers or Venturers. A minimum of 2 Scouts and 2 leaders are required for any Scouting activity. CHECK-IN AND CHECK-OUT - All units must check in and out of camp with either the Camp Director or Camp Ranger on duty, and fill in the attendance blank, which is part of the permit form. A weekend is considered to start at 5:00 p.m. on Friday and end by 4 p.m. on Sunday. FIRES - Build fires in a cleared area and put out all fires with water. Do not dig holes for fires. If rocks are used for fireplaces they must be returned to the edge of the camping area, to provide safety for mowers. WOOD - Use only dead wood for fires. Do not cut down any trees. Chainsaw use is prohibited. GARBAGE - TIN CANS, TRASH - bag all unburnables and bring to dumpsters. Do not burn any refuse. MOTOR VEHICLES - Motor vehicles are to be parked in the areas provided. The speed limit at Beaumont, Lewallen, Joy, Warren Levis, Vandeventer, Rhodes France, and Pine Ridge is 15 miles per hour and at S bar F the speed limit is 20 miles per hour. Do not drive into camping areas. Any alcoholic beverage or non-medically prescribed drugs. No open flame lanterns or candles in tents. Violators will be asked to leave the property. CAMP BOUNDARIES - All Cubs, Scouts, Venturers, and Explorers must stay within the camp's boundaries. GUESTS - Any arrangements for guests must be approved in advance and noted on your reservation. CAMP ENTRANCE GATES - will be locked between 5 p.m. and 8 a.m. Sunday through Thursday. WATERCRAFT - Persons using watercraft are subject to the Boy Scouts of America Safety Afloat rules. Before making any plans to use either Council canoes or your own boat, contact the Camping Service. Watercraft is restricted to daylight hours. Use of personal watercraft must be approved in advance. Privately owned gas motors are not allowed at S bar F Ranch or Camp Lewallen. FISHING - Fishing is available to registered members of our Council when their stay in camp is directly related to a unit or district outdoor event involving Cub Scouts, Scouts, Venturers, or Explorers. There must be as many Scouts as leaders on fishing trips. All fishing must be done in accordance with the current regulations of the Missouri and/or Illinois Conservation Commissions. The use of live minnows for bait is prohibited on Council owned lakes. For fishing at S bar F Ranch or Camp Lewallen, all personnel between the ages of 16 and 65 must possess a current Missouri State Fishing License. DAMAGE TO EQUIPMENT AND CABINS - All cabins, campsites, and equipment used by a unit will be inspected by the unit leader and Camp Director or Camp Ranger before being occupied or used. Any damages that occur are to be paid for when checking out. This includes defacing equipment and buildings, discharging fire extinguishers, destroying or defacing trees, etc. SHOOTING RANGE - Qualified instructors must supervise all use of shooting ranges by Scouts, Venturers, and Explorers. To qualify, a leader must be at least 21 years of age and hold the appropriate instructor's certificate, .22, shotgun, or blackpowder, from the National Rifle Association. Only Camp furnished rifles and ammunition may be used. PRESSURIZED FUEL - Leaders must follow the polices set forth in the guide to safe scouting regarding the use of chemical fuels and equipment. SWIMMING - Swimming is permitted in designated areas. Units are responsible for providing trained supervision as described in BSA Safe Swim Defense. We reserve the right to refuse property access at Council discretion. Please pick a time slot in PROGRAM AREA. Either for a 'Monday through Thursday' choice or a 'Saturday' time slot. When the next page is prompted, click RESERVE for your choice. A calendar will pop up and you can pick your time slot and then date. Click ADD TO CART next. The next step is to click on Packages and then hit 'reserve' for each item your unit would like to do. From there, all the items will be in your cart and click the shopping cart in the right corner. When the screen pops up, check your reservation and then hit CONTINUE TO CHECK OUT. Please add your unit information at this time. Hit NEXT, on this screen provided your youth and adult count, and under PLANNED ACTIVITY please list what program features you would like. Please >>>also state here<<< if your program will be at your unit's location or at Beaumont Scout Reservation. Click next and the payment screen will pop up. And after the that, the reservation process will be done. An email will be sent to you with the reservation information and account number. YOUR RESERVATION IS ON HOLD BUT NOT COMPLETE TILL YOU HEAR FROM THE TRAILER MANAGER TO CONFIRM. They will be in touch with the primary leader two to three weeks out from the chosen date and confirm the details. Please help the Trailer manager have a turn around area where they do not need to detach the trailer from the truck. It will save time for set up and take down. If you have access to 3-4 tables, the trailer has canopies to place over them. The trailer is powered by a generator but access to additional outlets is always welcome. Program materials can also be brought inside your location vs. all outdoors. Depending on the size of group, rotations of Scouts to experience multiple programs elements is suggested. Any set up help from adults is welcome. We ask for assistance from unit leaders to help the Trailer manager pack up the activities after the session ends. â€¢	All requests for refunds of money must be made in writing to the Camping Service. Council provided Refund Form must be used. â€¢	At least 30 days prior notice of cancellation is required for refund of money or to change date of reservation. â€¢	If the Camp Ranger or the Council cancels an activity because of weather conditions, a refund or credit will be issued to the unit. Those reserving any amenity of the GSLAC are responsible for its care while in their possession and its cleaning when the activity has concluded. Building use requires sweeping, mopping, removal of trash, removal of ash from fireplaces, and the replacement of all firewood used. Activity usage requires cleaning of the individual parts of the activity prior to returning them to the camp ranger. Examples of these are rifles, shotguns, or ropes. In addition, a complete policing of the area should be conducted by the members of the reserving unit in an effort to locate any forgotten trash. Once the area has been thoroughly cleaned, please find a camp ranger to conduct a final inspection before departure.